Well, it’s officially December which means I am fully prepared to get into the Christmas spirit! 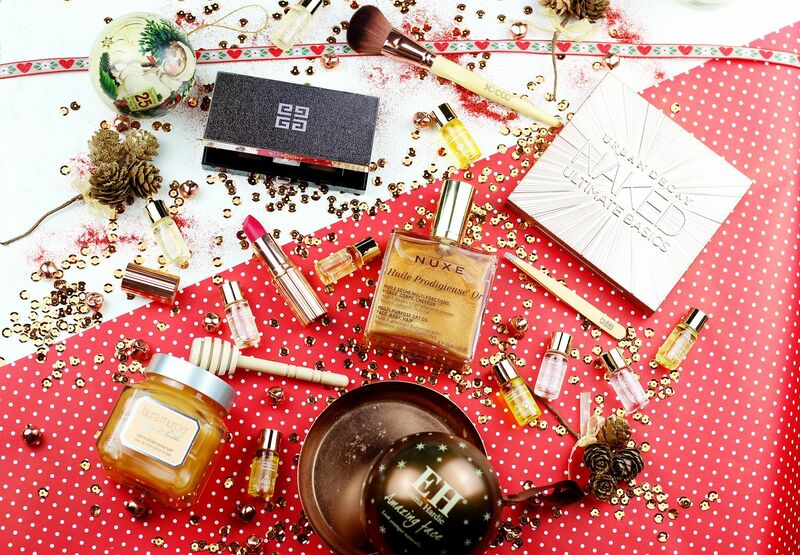 To kick things off nicely, I wanted to share my handpicked edit of the best beautifully bronze gifts around… the ones that will look particularly gorgeous under the tree and are sure to elicit a squeal from any beauty lover. 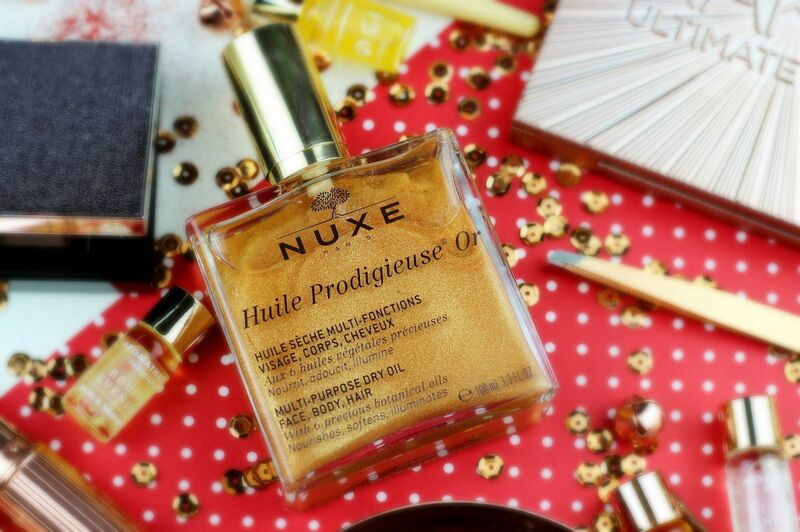 For an indulgent pamper… Look how gorgeous the Nuxe Huile Prodigieuse Multi-Purpose Oil (£34 from Escentual) is! It’s like shimmery molten gold – ridiculously beautiful. This is one of those gorgeous, oh-so-parisian-chic products that always looks elegant in the bathroom. Really moisturising, and the shimmer is the best thing for any parties or glam moments. More oils, because there’s something so deliciously decadent about them! The Aromatherapy Associates Miniature Collection Bath & Shower oils gift set (£39 from John Lewis) houses 10 of the cutest miniatures around. 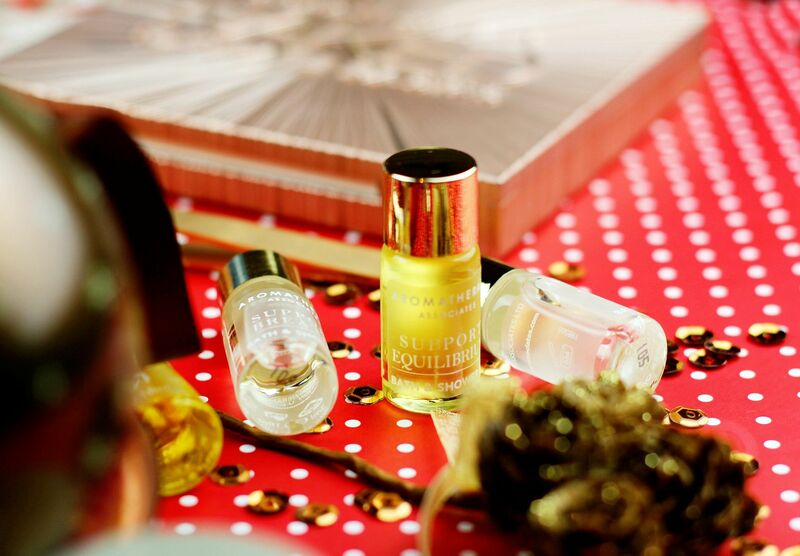 Little bronze vials of delicious smelling body oils to cater for any eventuality – this would be a really cute one to split up as well and share between several presents and use it as a present topper. 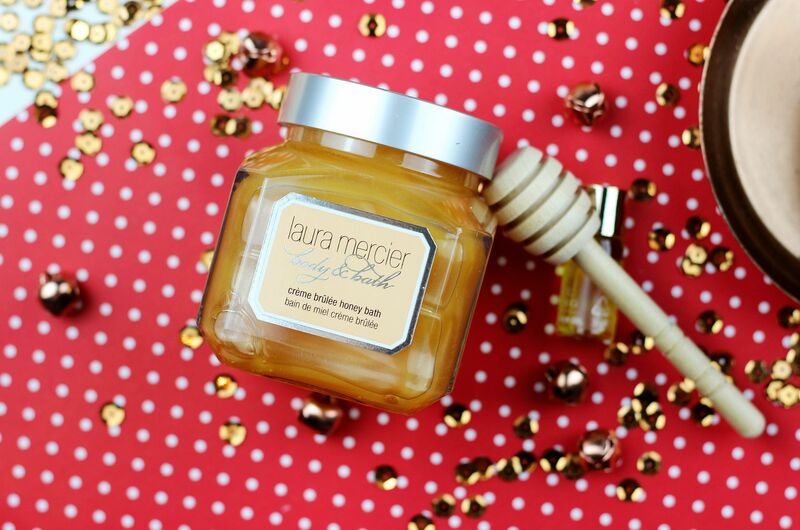 Christmas isn’t Christmas without one of the Laura Mercier Sweet Temptation sets (£35 from Harrods), and buying one has become one of annual traditions. This is my favourite scent – it’s divine, and adds such dreaminess to bath-time. This is so very cute as well, with the little honey stick so you can drizzle the product under running water. The set just makes me think of a glamorous screen siren, and who doesn’t want a little added luxury at Christmas? Something I can’t wait to buy for every one for Christmas is the Emma Hardie Moringa cleansing balm bauble (£15 from Cult Beauty) – it comes with a muslin cloth and a pint-sized balm. This is the perfect introduction to the product everyone needs, and it comes in the cutest bauble. Another adorable edition to hang from your tree comes from The English Soap Company (£8) – I wish everything came in bauble form… For a beauty afficindo, the Rubis rose gold tweezers (£23 from Cult Beauty) are a perfect stocking stuffer. I’ve never tried a sharper pair of tweezers, and my brows are thanking me for them. If anything comes in a rose gold variation, it’s a guaranteed blogger crowd-pleaser. There’s got to be some glamourous and glitzy makeup involved! 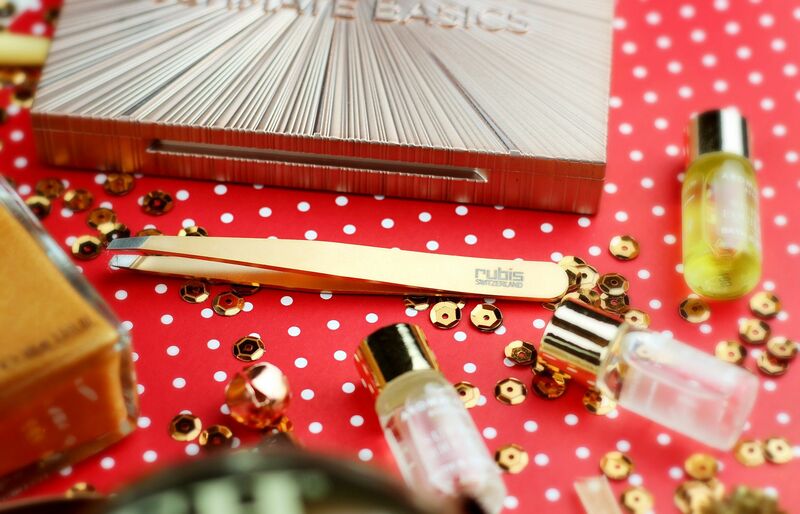 Luckily this year there are some truly dreamy bronze picks – I am in love. Firstly, a classic Charlotte Tilbury lipstick (£23 from Cult Beauty) is always going to be a good crowd-pleaser – who can say no to that beautiful packaging? I’ve got quite a few but I love this shade, The Queen. All that glitters is definitely rose gold, just like this super-soft So Eco brush (£7 from Amazon). Makeup brushes are just the best stocking stuffer for absolutely anyone because who doesn’t want a good excuse to play with makeup? Two palette picks – one just isn’t enough, I’m sure you’ll agree. The Urban Decay Ultimate Basics (£38.50 from FeelUnique) is surely what Instagram dreams were made of? 12 buttery and pigmented shades that can be used all on their own or mixed in to finish a look with something more shimmery. The burnt orange and the plum are my two top picks, but the whole palette is a real pleasure to use. Get ready to fall in love with the Givenchy Nudes Nacres palette (£45, exclusive to Escentual), a gorgeous little six-strong edit of six glamorous bronze shades. Sparkly packaging! It’s like a gorgeous little clutch, and the shadows are my absolute favourite to wear on a boozy Christmas night out.